This time of year brings an impressive array of seasonal delights to the table. Deep green kales and cabbages, hardy leeks and carrots, crunchy cauliflower and celery – there’s no shortage of choice to make a nutritious, vibrant stir-fry. 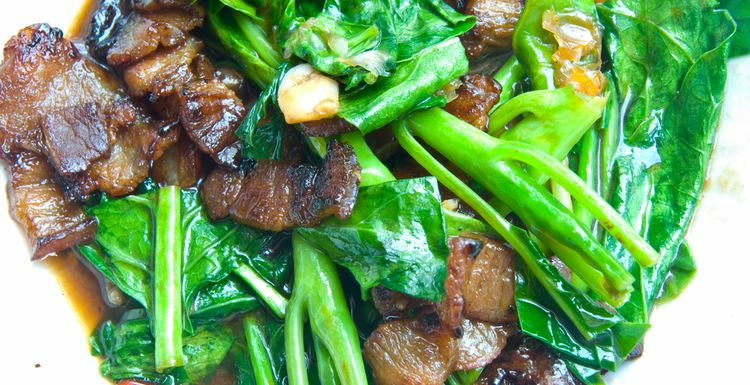 The perfect partner to stir-fries is venison. A great substitute for beef, venison is actually meat that comes from deer. As well as being in season this time of year, venison is a great source of top-quality protein, rich in iron (actually more than beef), low in fat and full of B vitamins. Full of flavor, juicy, and easy to cook – it’s time to get that wok out! Put together, these seasonable vegetables and venison make a tasty, quick and nutritious supper. The secret is in the marinade, so make sure to leave time for the flavours to soak up the spicy sauce. Mix together the marinade ingredients. Add the venison and leave for at least 30 minutes. Drain, reserving the sauce. Heat the oil in a frying pan or wok to a high heat. Cook the venison for 2-3 minutes. Remove the venison and add the vegetables. Stir-fry for 2-3 minutes then add the meat juices. When the vegetables start to soften, add the venison and toss to coat in the sauce. Serve with lime juice, chopped fresh coriander and chopped nuts. I must admit I have never seen venison in the supermarket. Not that I've ever looked for it. Does anyone know where we can buy it? Any supermarkets sell it~? This sounds lovely! I have never tried venison but am now very intrigued.